At the root of many chronic health problems today is high blood sugar and insulin resistance, thanks to the standard American diet. Heart disease, chronic pain, hormone imbalances, diabetes, autoimmunity, and Alzheimer’s are just a few chronic disorders impacted by high blood sugar. One of the most essential things a person can do to improve and maintain the health of their body and brain is normalize blood sugar and reverse insulin resistance. When blood sugar is too high, the pancreas secretes the hormone insulin to carry the sugar out of the bloodstream and into the body’s cells and to convert the excess into fat for storage. As a result, too much sugar and insulin circulate throughout the bloodstream causing inflammation, skewing hormones, and throwing off neurotransmitter balances, all of which lead to rapid degeneration of the body and brain. One of the more obvious consequences of a diet too high in sugars and starches is that thick roll of belly fat the majority of Americans and many children now have. That fat itself produces pro-inflammatory compounds and inflammation, which causes inflammation in the brain. Foods that cause high blood sugar and insulin resistance when consumed regularly and over consumed include sodas, sweet coffee drinks, candy, pastries, pasta, bread, processed grains, and other high-glycemic foods. In addition to the inflammation-promoting properties of sugar, excess insulin, and excess abdominal fat, insulin surges also reduce the brain’s ability to clear out amyloid plaques, the hallmark of Alzheimer’s disease. People with diabetes are twice as likely to succumb to Alzheimer’s disease as non-diabetics. Insulin-dependent diabetics have a a massive 400 percent increase risk of developing Alzheimer’s dementia — thanks to excess insulin. This higher risk is also linked to the tendency of the insulin-dependent Type 1 diabetic to use insulin as a license to eat a high-carbohydrate diet. A common symptom of insulin resistance is becoming extremely sleepy after eating. This is because of the effects of the sugar and insulin surge on the brain’s neurotransmitters, as well as the high energy demand of converting sugar into fat. What people don’t understand is that every time they time they go into a mini-coma and need a nap after eating too much food or a high-carb meal, it’s due to insulin resistance — they’re killing off massive amounts of brain cells and speeding along their brain degeneration. Although these facts alone are alarming, they don’t take into account the effect that sugars, starchy foods, and insulin surges also have on hormonal balance, gut health, thyroid function, and adrenal health. In women and men, insulin surges from high-carb diets increase a hormone-converting enzyme called 17,20 lyase. This enzyme increases testosterone production. The high testosterone blunts cells’ insulin receptor sites, leading to insulin resistance. In a vicious cycle, as cells become even more resistant to insulin, further testosterone elevation is promoted. In women, high testosterone also affects estrogen and progesterone levels, changing neurotransmitter levels that affect motivation, drive, and personality. It also fosters growth of facial hair and thinning of scalp hair. In men, insulin resistance promotes excess estrogen so that they grow breasts and hips, and suddenly find themselves crying at movies, among other more serious health issues. It is estimated more than one-third of the U.S. population has insulin resistance, which is a stepping stone to diabetes. It’s no mistake that much of that list seems to resemble the insulin resistance symptom list at the top of this page. On blood tests, PCOS can be identified by insulin resistance type patterns such as fasting glucose over 100, elevated triglycerides and cholesterol, and triglycerides that are higher than cholesterol. Elevated testosterone from insulin resistance promotes excess conversion of the thyroid hormone T4 into T3 (the usable form of thyroid hormone). 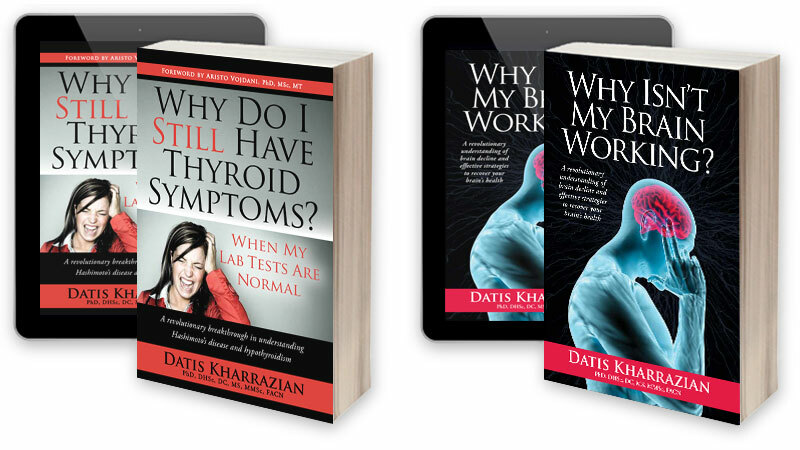 Excess T3 in the bloodstream overwhelms the cells so they develop resistance to T3 (thyroid resistance). When not enough T3 can get into the cells, it results in hypothyroid symptoms. This is also seen in women with PCOS and in men who use testosterone creams. With this pattern, reversing insulin resistance can also reverse hypothyroid symptoms. Insulin resistance is often associated with high cortisol, a hormone produced to cope with stress. In our overly stressed lives, many people tend to have chronically high cortisol. 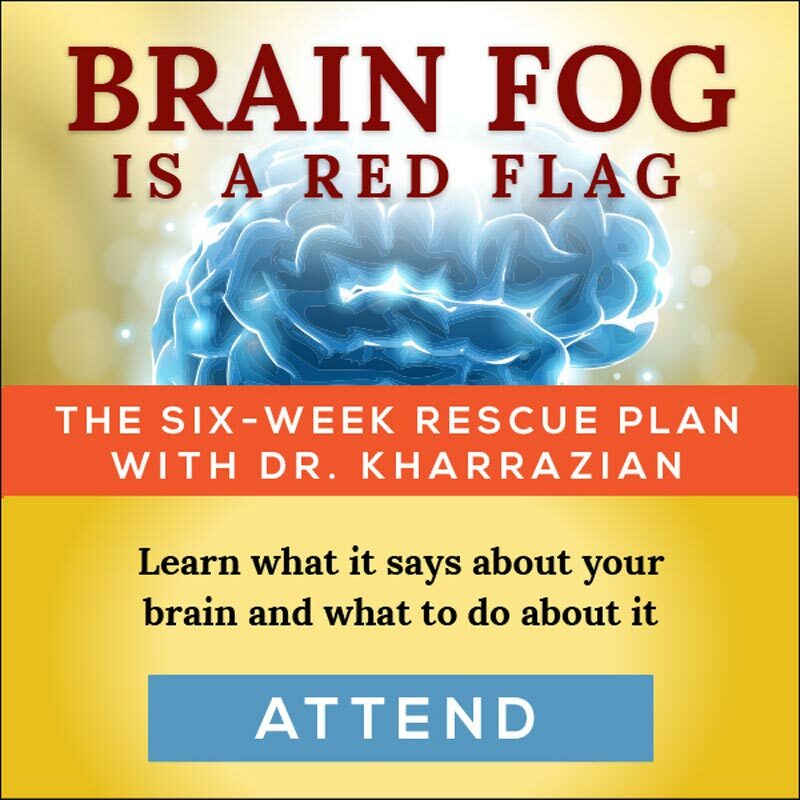 This is damaging to the body’s tissues, especially the brain. Protocols to help the body manage stress can go a long way in supporting blood sugar balance, reducing inflammation, and curbing insulin resistance. To reverse insulin resistance, you must change your diet if you want to improve the health of your body and brain; there are no exceptions to this. You can no longer simply eat what you want when you want if your diet is based on sugars and processed carbohydrates. The worst thing a person with insulin resistance can do is overeat or eat more carbohydrates than he or she can tolerate on a regular basis. Eat a breakfast of high-quality protein and fats that is low sugars and starches. Find your carbohydrate tolerance and stick to it: If you feel sleepy or crave sugar after you eat, you have eaten too many carbohydrates. You can also use a glucometer to check your fasting blood glucose, which ideally should be in the mid- to high-80s, and at least between 80-100. Never eat sugary or high carb foods without some fiber, fat, or protein. These added factors slow down the rate at which glucose is absorbed into the bloodstream and help prevent insulin surges. Don’t rely on caffeine and sugary snacks to get you through your work day; instead, bring along high-protein, healthy-fat lunch and snacks with minimal carbs. Do not eat sweets or starchy foods before bed. Your blood sugar will crash during the night, long before your next meal is due. Chances are your adrenals will kick into action, creating restless sleep or that 3 a.m. wake-up with anxiety. Avoid all fruit juices and carrot juice. These can be more sugary than soda, and will quickly have your blood sugar crashing. Eat a well-balanced diet consisting mostly of vegetables, and quality meats, plenty of fiber and fats. Eliminate food intolerances and allergens through an elimination/provocation diet or testing from Cyrex Labs. 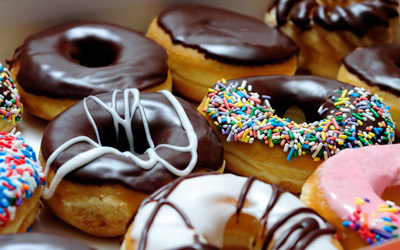 Sticking to a diet that stabilizes blood sugar is challenging at first due to intense cravings, the addictive nature of certain foods, and how ubiquitous and heavily marketed these foods are in our culture. 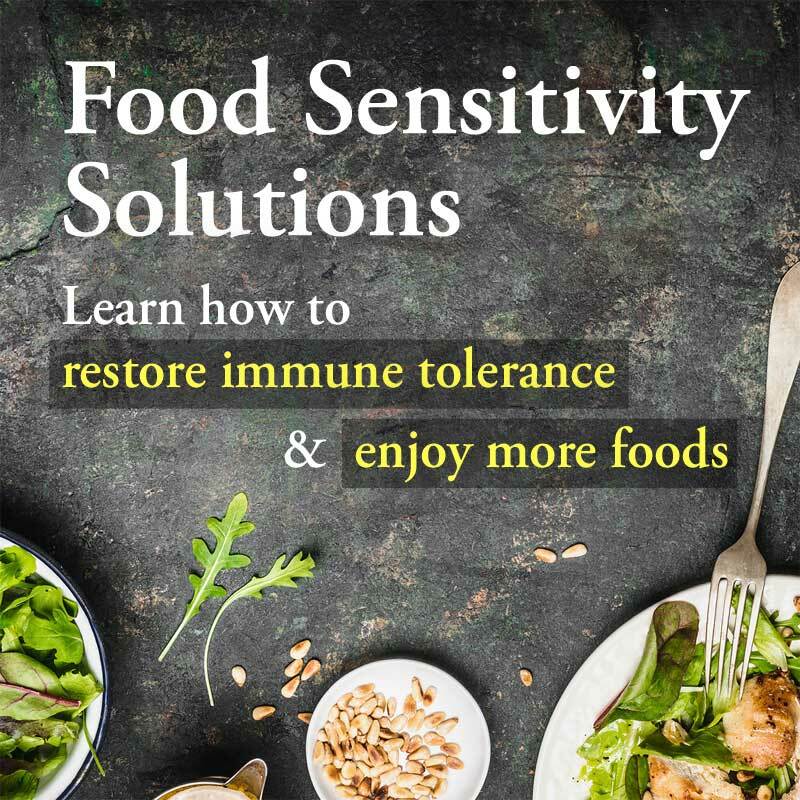 Also, unidentified food intolerances stimulate the adrenals so that people can get an “adrenaline rush” from the foods to which they are sensitive, which also creates intense cravings. However, knowing this can help you work your way through the cravings. Many people report once they have become accustomed to a whole foods diet and their health has improved, they naturally find whole foods more desirable and are turned off by junk foods. The biggest clue your blood glucose levels are stable is that you have an appetite at meal times (not just cravings for simple sugars) and when you eat there is no change in your energy levels. Feeling either tired or energized after you eat indicates your blood glucose levels are too high (insulin resistance) or too low (functional hypoglycemia), respectively. You should have no change in energy levels after meals; you should just no longer be hungry. The rule of thumb for insulin resistance is that if you feel sleepy after you eat, you just ate too many carbohydrates. What if your meal was virtually carbohydrate-free, say a chicken breast and green beans drizzled in olive oil, and you still feel sleepy after eating? It means your insulin resistance has advanced to such a degree that you may need specialized nutrients to correct insulin resistance. Whether your insulin resistance is advanced or not, support with the right nutritional compounds that stabilize blood sugar and the determination to weather the hardest period — that is, the first three days after changing the diet — will make it easier and more rewarding for you to follow a healthier way of eating. Additionally, supporting adrenal function with adrenal adaptogens and phosphatidylserine can be helpful in lowering high cortisol levels that often accompany insulin resistance. Lack of physical activity will drive the factors that create insulin resistance. Regular exercise, especially high-intensity interval exercise, is highly effective for sensitizing insulin receptors. Adequate exercise also helps balance high sugar, reduce inflammation in the body and brain, balance mood, support digestive function, and keep bones strong. If you have been sedentary for a long time or have concerns about a switch to a more active exercise regimen, consult with your health care practitioner for advice. It’s important to note that insulin resistance (high blood sugar) and hypoglycemia (low blood sugar) are not mutually exclusive. Sometimes a person will swing back and forth between them, and both cause the insulin surges that skew so many other systems in the body. In these cases, I recommend taking nutritional compounds for insulin resistance with meals, and nutritional compounds for hypoglycemia between meals. Experiment with which nutrients and dosages work best for you to stabilize your energy and mood. Regardless of whether you have high blood sugar, low blood sugar, or both, the most fundamental change you can make is to your diet and exercise level, as I outlined above. 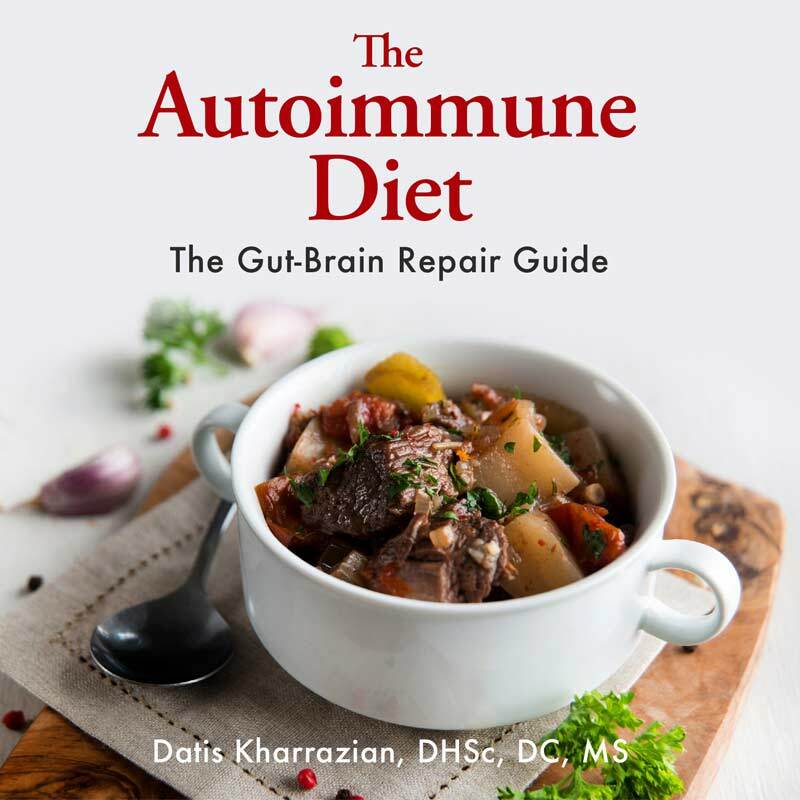 All the herbs and special nutrients in the world cannot fully support you until you make the necessary, brain-friendly dietary and lifestyle changes. Do the recommendations help with Type-1 diabetes too? Or is it only for insulin resistance? Is there any non-medical treatment for this decease?